With ODI series wins against Pakistan, India and South Africa in 2015, Bangladesh coach Chandika Hathurusingha looks at the changes that are helping the side move forward. 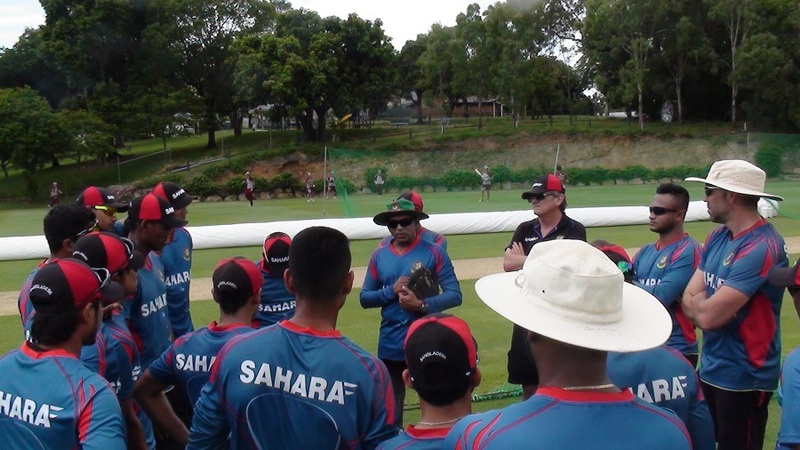 Following his appointment in May 2014, Bangladesh coach Chandika Hathurusingha had a crucial role overseeing the side’s World Cup campaign and three successful home series thereafter. On the final day of the second Test against South Africa, which was abandoned due to a wet outfield, Hathurusingha spoke to ESPNcricinfo about the side’s results in the last seven months, the change in the team’s mindset, how he spotted Soumya Sarkar and his future plans for the team. The last few months have been great for you. How do you feel having coached this side since last year? It gives me great satisfaction at the way the boys responded to the challenges that we had before with us, and then changed the culture we had before, believing in themselves mainly. I was very satisfied as coach. You are currently browsing the archives for the Mohammad Isam category.